US elections most often reflect no more than rearranging deck chairs on America’s deeply debauched ship of state – conditions for ordinary people worsening over time, not improving, things heading for totalitarian rule with bipartisan support. Its two extremist right wings take turns controlling Congress and the White House, not a dime’s worth of difference between them on issues mattering most. Undemocratic Dems are as militantly hostile to peace, equity, justice, rule of law principles, and democratic values as Republicans – notions both wings of US duopoly governance abhor. America’s money-controlled electoral process is too corrupted to fix, a fantasy democracy from inception, not the real thing. Ordinary people have no say over how they’re governed – why voting is a waste of time. Elections when held improve nothing for the vast majority of voters. Dirty business as usual wins every time. NYT editors laughably said: “The best way to protect democracy is to practice it.” How when government of, by, and for everyone equitably doesn’t exist in America. The same goes for democracy, a “good idea” absent in America, the West, and most everywhere else, a notion abhorrent to most societies, serving the interests of business and high net-worth individuals exclusively, at the expense of most others. The Times saying “(t)here’s no good excuse for not voting,” ignored all of the above. Calling “millions of eligible voters (opting out) their own worst enemies” pretends that elections in America matter. The Times turned truth on its head, claiming “every vote really can make a difference” – not when Wall Street, America’s military/industrial/security/media complex, and other monied interests determine outcomes. It’s not so when secrecy and back room deals substitute for a free, fair and open process, when candidates are pre-selected, when big money owns them. It’s not so when millions of Americans are disenfranchised, when election rigging often occurs, when horse race “journalism,” he said, she said, who’s ahead and who’s behind dominate political reporting, vital issues left undiscussed, the electorate left uninformed about what’s most important to know. 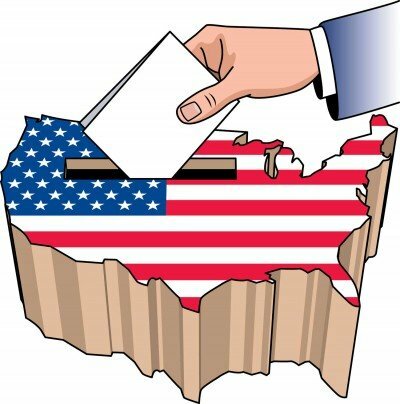 America’s electoral process was constitutionally flawed by design – to assure powerful interests owning the country run it for their own self-interest, while the general welfare increasingly goes begging. America’s deplorable state is why half or more of the electorate often opts out. The notion that they represent progressive ideas and policies is pure fantasy. The Dems’ 2016 party platform largely reflected dirty business as usual interests. Lofty mumbo jumbo rhetoric pretending otherwise couldn’t conceal it. Proposals for the following were rejected: universal healthcare, a $15 minimum wage indexed to inflation, ending wars of aggression, support for Palestinian liberation, a carbon tax, opposition to corporate coup d’etat trade deals, destructive offshore drilling and fracking, as well as prioritizing world peace, equity and justice for everyone. Either way, they have no say over how the country is run, no way to change who’s served exclusively at their expense. The only thing possibly positive about Tuesday is if Dems retake one or both houses, they could block some of Trump’s most extremist policies – for political, not ideological, reasons. Voters supporting candidates from either major party disenfranchise themselves for not opposing dirty business as usual – what duopoly governance and what it stands for is all about.